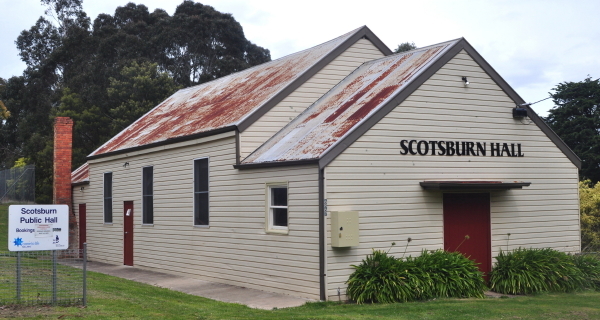 Description of Venue: Located at the foot of Mount Buninyong, Scotsburn was named after the Scott family which settled in the area around 1839. 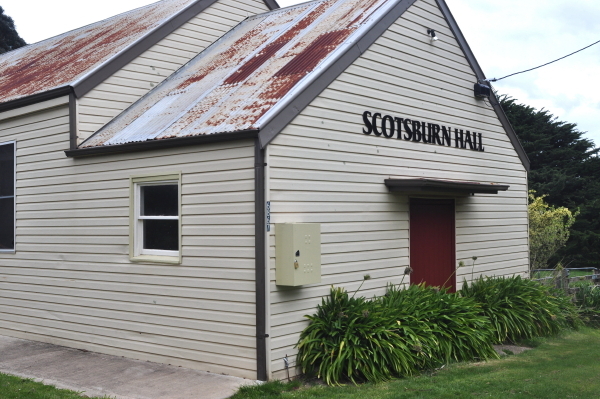 In 1891 the Scotsburn Hall was built, funded by donations and land donated by the Eason family. 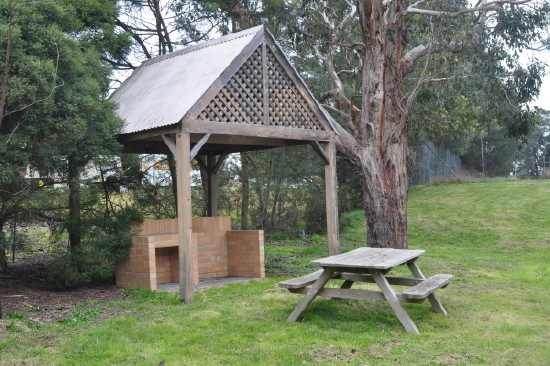 The land immediately surrounding the hall became a Bicentennial Park in 1988, and now has a covered picnic area with two picnic tables and a portable BBQ. 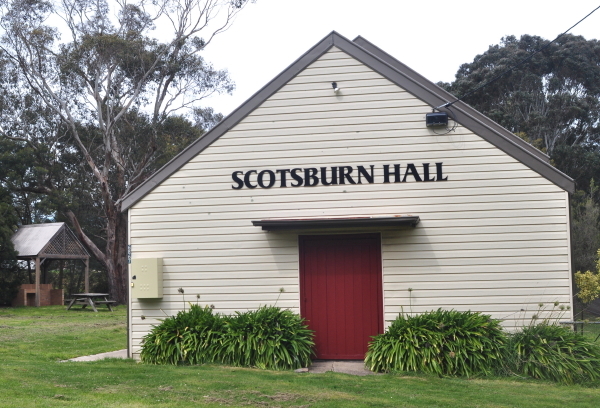 Since its establishment the hall has been utilised by the local primary school, the Scotsburn Tennis Club, and local residents for various functions. 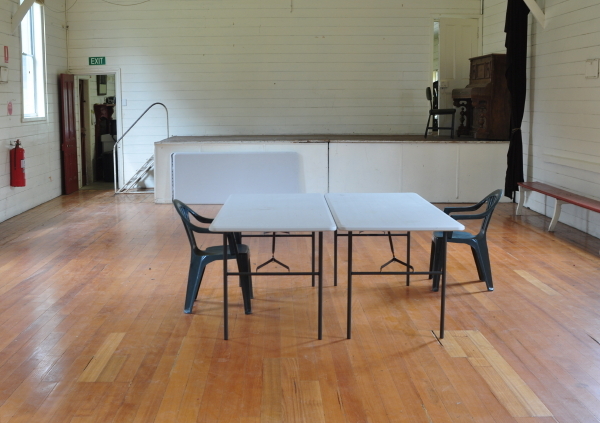 Regular users of the hall include the Upper Williamson Creek Landcare Group and the Christian College. 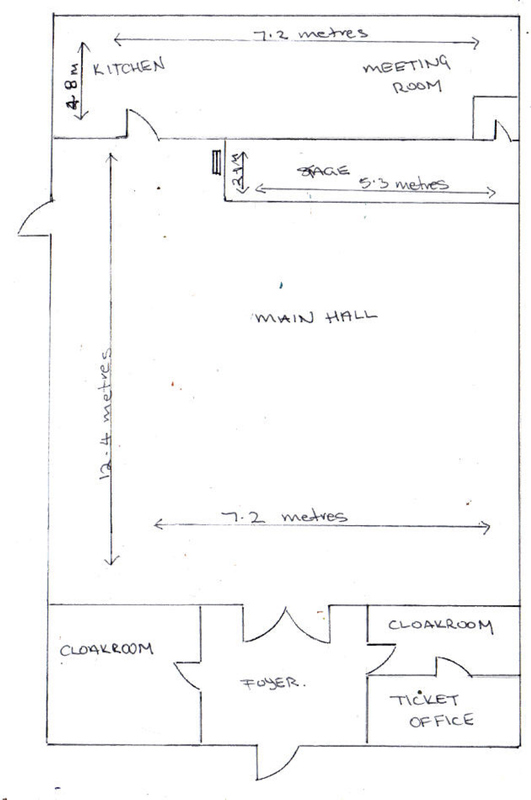 The hall is suitable for private functions such as birthday parties, reunions, fundraisers, weddings and dances. 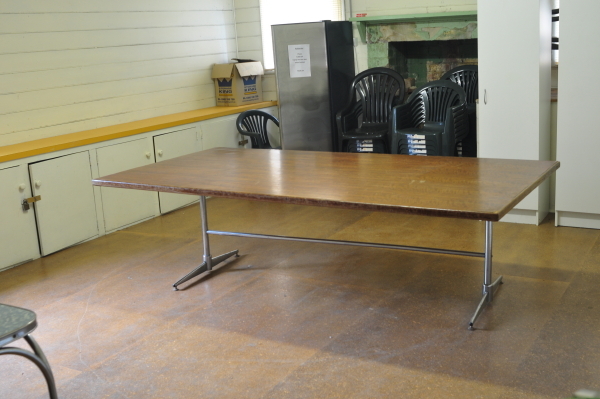 The hall features wooden floorboards, a stage with a rear and side entrance, electric strip heating and bench seating around the walls. 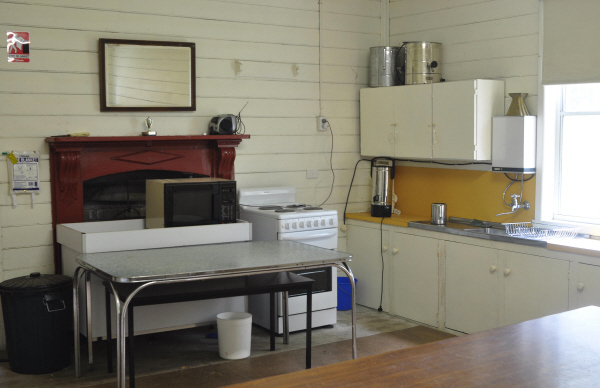 The basic kitchen includes domestic stove, microwave, urn, instant hot water, crockery and cutlery for 50 and has electric heating. Sharing the kitchen space is a meeting room with a whiteboard and electric heating. An interesting feature of this hall is a ticket office and cloakrooms in the foyer, making it an ideal venue for concerts and performances. Types of events which are run/held: Regular users include Upper Williamson Creek Landcard Group and Christian College. 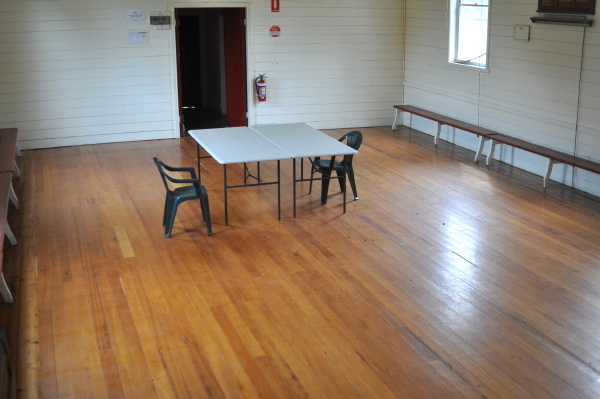 The hall is suitable for private functions such as birthday parties, reunions, fundraisers, weddings and dances.